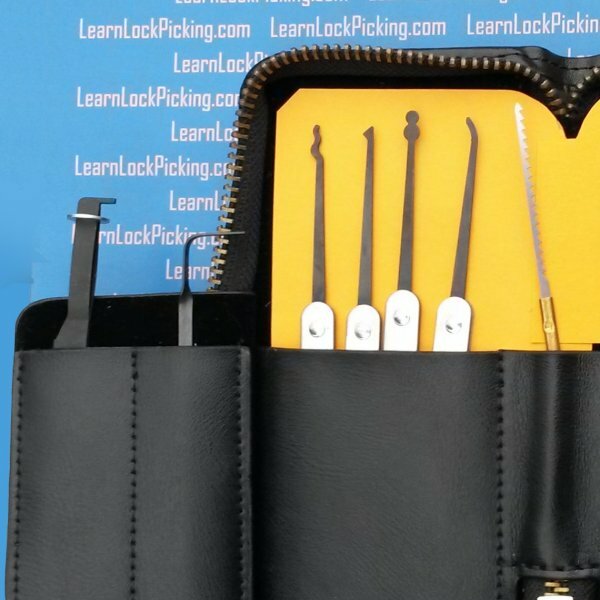 16 piece set perfect for the beginning locksmith. 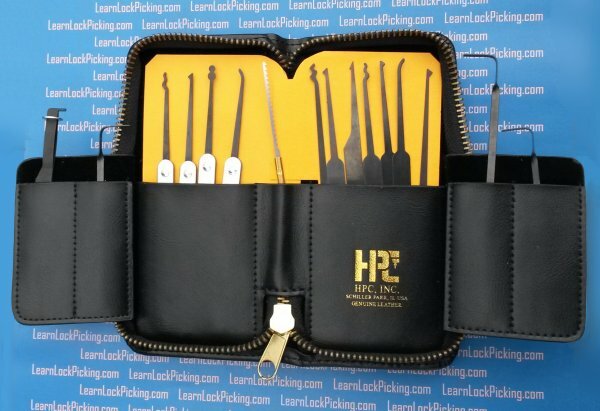 Professional quality set includes an assortment of 10 picks including rakes, diamonds, balls and hooks, 4 tension tools, 1 dual prong tension wrench, and 2 broken key extractors. SKU: 16PickSet. Category: Lock Picks. Brands: HPC. 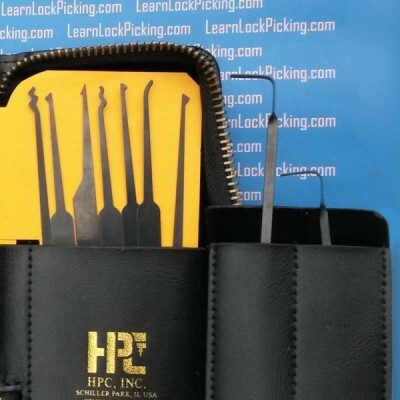 The Deluxe Lock Pick Set is perfect for the beginning locksmith. 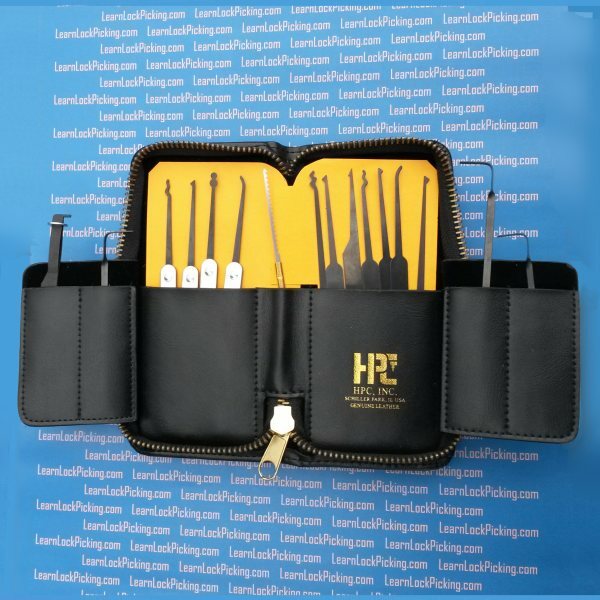 Professional quality tool set of 16 tools, including an assortment of 10 picks including rakes, diamonds, balls and hooks, 4 tension tools, 1 dual prong tension wrench, and 2 broken key extractors. Set comes in a genuine leather zipper case. 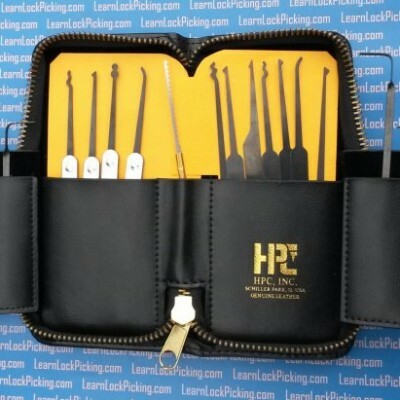 Perfect kit for learning the skill. Many different tools to better your skills.